You begin to wonder … What am I doing with my life? Where am I headed? Is this all there is to life? Positivity and Mindfulness coaching can help you break through this phase and live a life of well-being – a life of flourishing – a life of fulfillment and optimism. This type of coaching is the outcome of scientific research studies by leading 20th century neuroscientists and psychologists. Positivity and Mindfulness coaching uses an integration of the disciplines of neuroscience, positive psychology, and mindfulness to achieve an optimal state of well-being that creates a vibration from which you attract and manifest what you want to achieve and experience in your life. 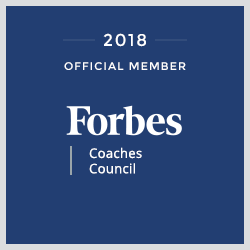 As a multi-credentialed coach, I offer a program to help you achieve what’s meaningful for you. Wow! What an incredible journey. It was nothing short of a transformative experience – one that I never would have anticipated. I knew, going in, that you were a masterful coach and that your style was one that combined expertise, passion, empowerment, and compassion. In working together, you provided me with an opportunity to dig deep many, many times – and offered me tools and resources that tap my own innate strengths that I will draw on for the rest of my life. I absolutely want to thank you from the bottom of my heart for the world of good the timing of this program offered me at such a critical juncture in my life. Beverly, You have transformed my friend! I would say he is a totally different person but that is not accurate. He has actually become the best form of himself. He has grown into the person he was meant to be. Great work!